Montreal Comiccon 2017, thank you! The Montreal Comiccon 2017 took place from 7 to 9 July 2017. 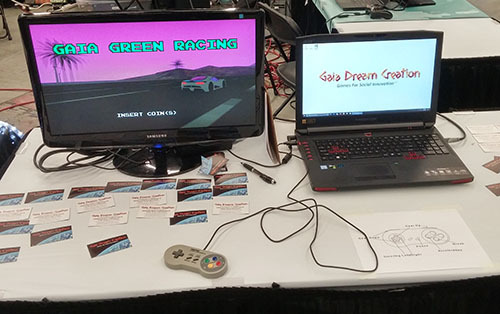 I had the chance to chat with several players who tried Gaia Green Racing. Thanks to all the enthusiasts who gave me feedback on the game. This kind of event is very useful to test the reaction of people. The next few weeks will be very busy to put a test version on the market. Keep an eye on the blog. Montreal Comiccon 2017 – Gaia Green Racing.